Healthcare sector has undergone a dramatic technological transformation over the past decade, primarily due to the advent of cloud computing. While healthcare cloud adoption is accelerating, the focus is gradually shifting from utilizing cloud solutions for broader purposes than just cost-effective storage. Healthcare providers are moving towards value-driven and consumer-centric patient care as they increasingly look to embrace cloud solutions. As the due diligence regarding the healthcare plans and treatment options is becoming prevalent, healthcare seekers are pushing healthcare providers to offer transparent, customizable, and cost-effective solutions. One of the ways healthcare providers are looking to achieve this is by opting for cloud-based solutions. Healthcare cloud can facilitate communication between patients, their medical devices, and physicians through patient-centric tools. Streamlined communication between patients and caregivers provides clear benefits at the individual level, but it also creates an opportunity to improve patient outcomes and experience to a much broader base. In addition, the analysis of large amounts of patient data collected and integrated with electronic medical records (EMRs), provides doctors valuable insights as to how they can treat specific conditions effectively. These analyses exhibit another way the cloud is being used to increase overall patient care. Cloud computing is one of the novel approaches that can handle some of the challenges of smart healthcare in terms of security, sharing, integration, and management. There are significant opportunities for cloud computing in the healthcare market. Most healthcare enterprises are expected to provide efficient, faster, and safe healthcare service that is otherwise impossible without modernizing their IT infrastructure. Cloud computing diminishes the need to invest in expensive IT infrastructure. Although healthcare cloud has a plethora of benefits, the idea of storing personal health information in the cloud gives rise to cloud security issues. The Health Insurance Portability and Accountability Act (HIPAA) regulations act as a key barrier between the healthcare sector and cloud adoption. Moreover, healthcare providers strive to keep protected health information (PHI) confidential, as they look to thwart any security issues arising due to storage of patient data in the cloud. Therefore, vendors must come up with healthcare-specific cloud solutions to address security and availability requirements of healthcare. These solutions must also understand the intricacies of each domain of the industry that can give rise to healthcare domain-specific clouds that can aid the transformational shift in the healthcare industry. The cloud has facilitated a shift in the healthcare sector, where patients are empowered to manage their own care. Moreover, providers must harness patient-centric solutions and open communication to promote transparency and improve overall patient experience and outcomes. In addition, healthcare providers must instill healthcare seeker confidence by protecting critical patient data through required security measures. This can eventually mitigate the resistance to adoption of cloud computing in the healthcare industry regardless of the vendor and the cloud platform used. The report "Healthcare: Trends in Cloud Computing", is an attempt to analyze the key trends expected to impact the Healthcare industry and its various stakeholders in 2018. Key challenges faced by the industry verticals (healthcare) pertinent to its technology (big data & analytics) implementation. Overview of the revenue opportunities in the cloud computing market for the healthcare sector through to 2021 - highlighting the market size and growth by technology, geography, sectors, and size band. Moreover, the report also outlines enterprises’ investment priorities in the cloud computing segment for the healthcare sector. Future recommendation and market opportunities for cloud computing segment in the healthcare industry. 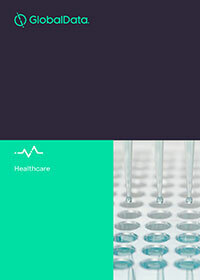 Helps the reader to understand the cloud computing market landscape in the healthcare industry, the recent trends, and challenges. The most exhaustive and up-to-date report providing revenue opportunity forecasts in the cloud computing market from 2016 to 2021, spanning four technology segments, six regions, and two size bands. Extensive technology growth predictions based on adoption indicators, end-user technology demand, GlobalData’s in-house ICT survey results, and macroeconomic factors. The report provides a detailed breakdown of the opportunities within the cloud computing segment and its sub categories.